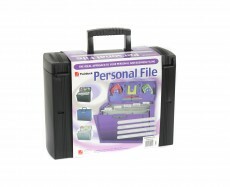 This pack of 3 Ryman Storage Boxes with Lid are perfect for storing brochures, magazines and paperwork in the office or home. 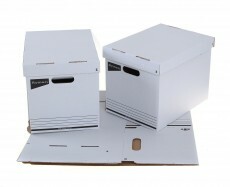 The cardboard flat packed holders are easy to assemble and would be perfect for any desk top. 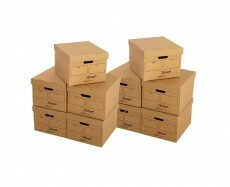 The archive boxes have space to write the contents on the front making it easy to locate contents.
. 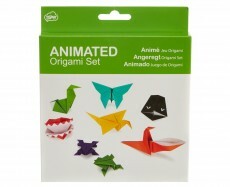 Manufactured from 60% post consumer waste and 100% recyclable.
. Made from FSC certified board.